Scoop out the pulp from the granadillas, keeping the shells to use as little bowls. 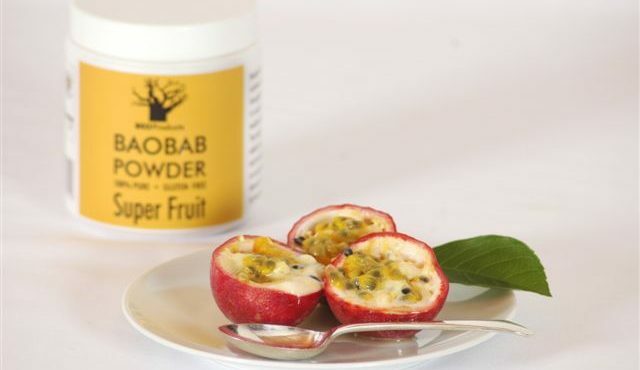 Mix the granadilla pulp into the baobab powder paste. Scoop the sorbet into the granadilla shells and serve the sorbet in the shells.